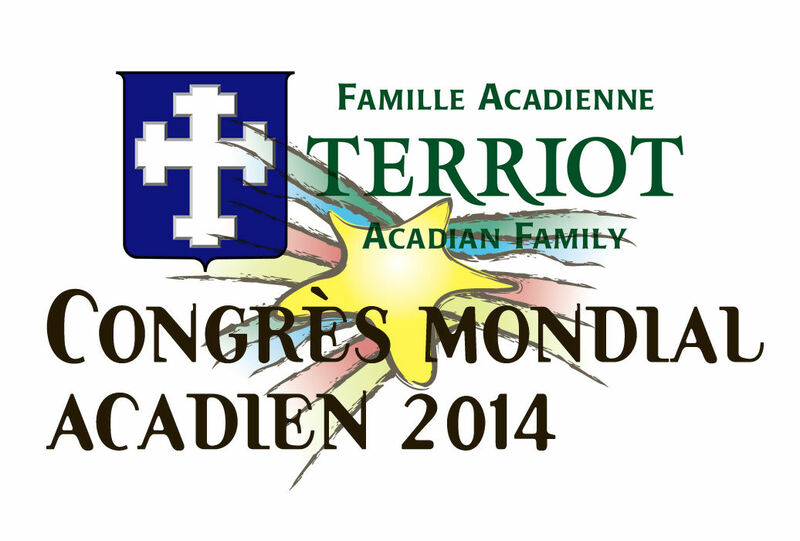 »Current Events»CMA 2014 TERRIOT REUNION: Unbelievable but it’s history! 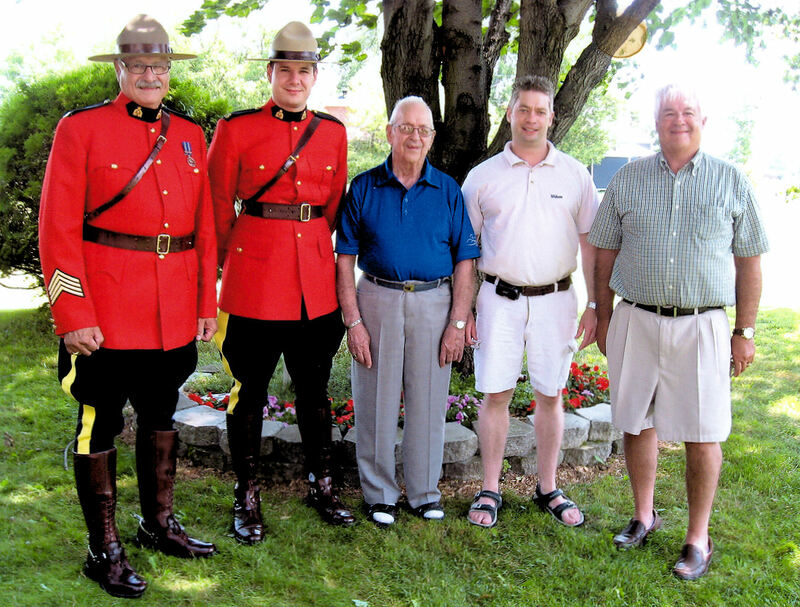 For the past two years, many of us have been very preoccupied with planning, writing and organizing for the CMA 2014 Reunion of the Terriot family. And now, it is over… history! I can’t believe it. But what we have are some very sweet memories, many new friends and a few more cousins than we thought we had. 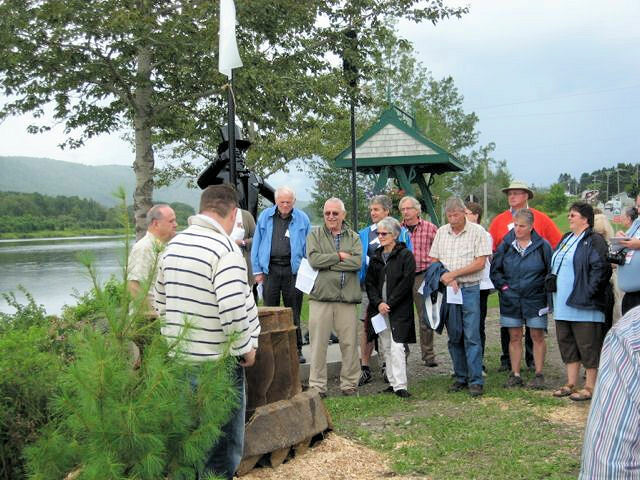 J. Ralph Theriault (left) and George Michaud (facing away standing next to J. Ralph) teaming up to tell the story of John Baker and his mill, as well as the very interesting story of the three ton water turbine found in the vicinity of the old Don Fraser mill by the Société historique et culturelle de Baker Brook. The conferencees are standing where the old Timiscouata railway once was. On the left is the beautiful St John River. J. Ralph Theriault telling the story of the first mill in the Madawaska territory built by Nathan Baker in 1817. Unfortunately, Nathan died at an early age so his brother John who had settled in St Francois du Madawaska, moved to the Baker Brook settlement and continued the operation of Nathan’s mill. 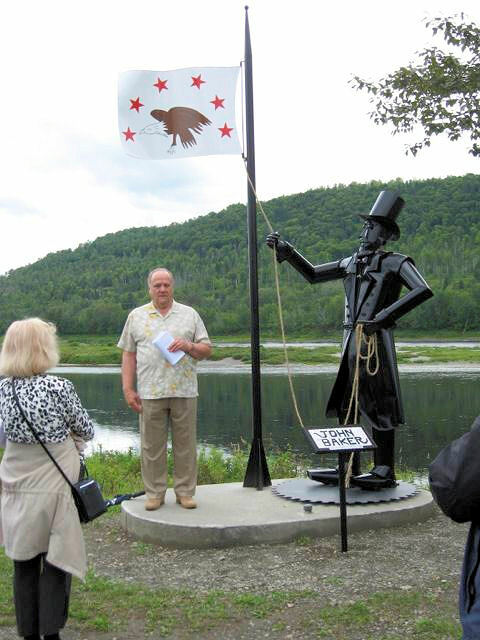 Recently, the Société H&C de Baker Brook commissioned the metal sculpture and monument to focus on John Baker and the very interesting role he played in Baker Brook history. Many people go for the parades, the partying and the various cultural events that the CMA organizes so well. And those are alot of fun but I get a giant kick from meeting new cousins and friends and connecting with them. That is huge fun and those connections last for years. In any case, it was fun guys. I’m already looking forward to CMA 2019 wherever it will take place. But back to reality, I am making an appeal to any who attended the conferences at Baker Brook and at Fort Kent. If you took photos, please send copies to me at TERRIOT@TERRIAU.ORG. I would immensely appreciate your generosity. By the way, here is a souvenir brochure that summarizes our conference preservations. Also, for those who were not able to attend the Terriot Reunion Conferences, we just posted the text and handouts from the conferences both for Guy Theriault’s presentation and mine. You will find them in ‘Our Document Library‘ of our website.